this year has been good. a month to go before we even have a hint of rain, and i've already gotten started with the treks. with the weather, the only manageable way to pull that off has been through night treks. a lot of people get taken aback when i say i'm doing a night trek, but really, it isn't as scary as most people would assume. and of course, night treks are best restricted to summer/early winter - night trekking in the rain is a different ballgame altogether! 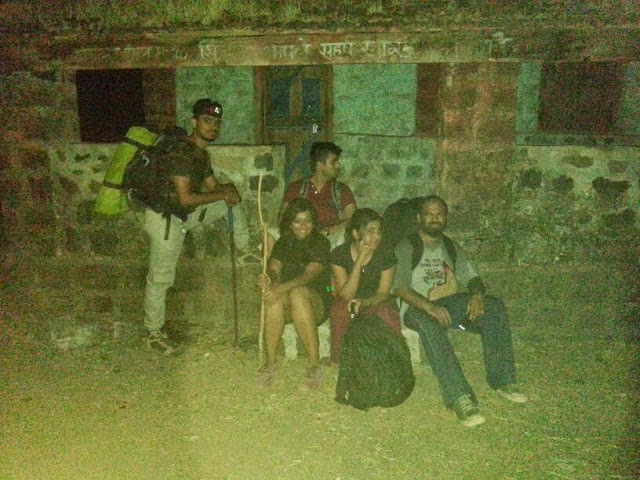 1. nothing better to do: night treks are a welcome break from lazing around at home when it's ordinarily too hot to be traveling. 2. the vagaries of weather are relatively under control: it's gonna be hot and dry, with a slight chill at higher altitude. that's it. 3. camping: camping in dry weather is infinitely easier. 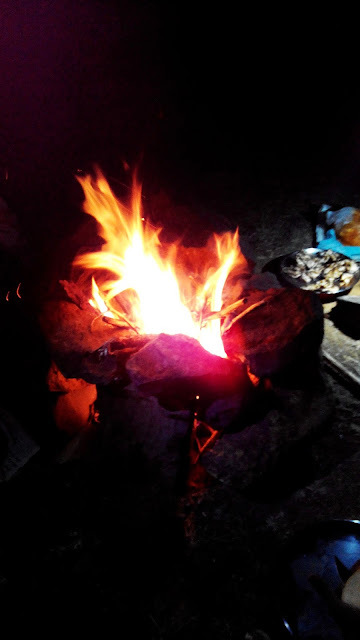 4. cooking while camping is a good idea: fun, and the abundance of dry wood means no need to carry fuel. 5. the night sky: time your trek right, and there'll be millions of stars and a clear sky to keep you occupied. 1. safety: easier to get lost. i wouldn't recommend trekking without a guide, unless you have reliable GPS maps or something as good. i've been GPS recording my treks for this reason. two out of the three night treks we did this year have been with paid guides from a nearby village. 3. water: water is dead weight to carry, extremely problematic if in short supply, and natural sources are usually dry or unpotable in summer. 4. the morning after: after a long trek, a nice night out under the stars with a campfile and bbq for company, i usually find myself wishing i could sleep a couple of hours more - but the burning sun precludes that. 5. choice of location: since day treks are the norm, any trekkable place is typically a day trek. night treks have a lot more factors to be considered, so the number of feasible destinations is far fewer. 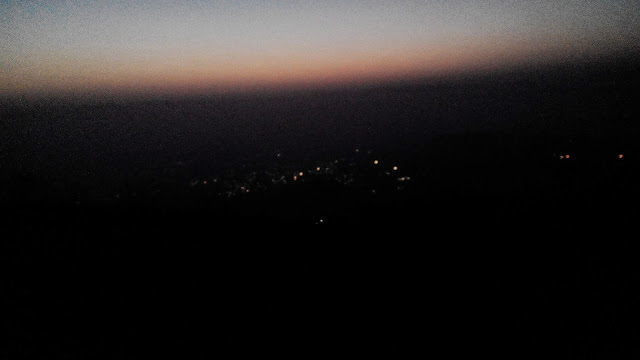 all in all, night trekking in summer is an awesome experience nevertheless! 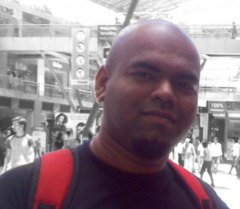 since there's barely a month before monsoon pre-showers make their appearance, i'm hoping to get atleast one more done this month before the rains get me back into day trek mode. haha yeah, i've done naneghat at night... but there are many more to explore, looking forward to it! Arrrghhhh!!!! I've missed out on so much this time.